The stage origins of the early-1930s films are clearly visible in all versions, especially Marius, which Pagnol had created as a self-contained 1928 play (a Broadway stage version, Marseilles, flopped in 1930). Pagnol never planned for sequels to the first film/play, which ends unhappily with Marius apparently leaving Fanny for good, but he was persuaded to write a second play that was quickly filmed. 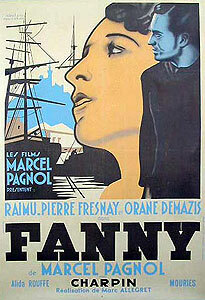 The 1932 Fanny was a success and immediately led to remakes in Italy (in 1933) and Germany (1934). 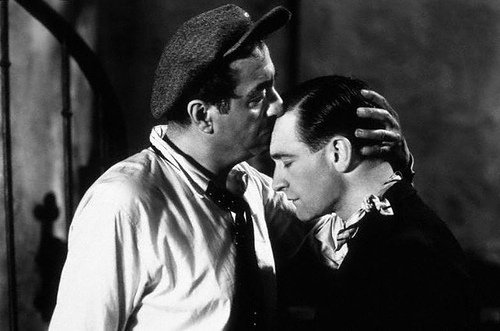 The final episode, Cesar, which was not written for the stage, reunited Pagnol with his original cast: Pierre Fresnay as Marius, Orane Demazis as Fanny, Raimu as Cesar and Fernand Charpin as the dying Panisse. The original trilogy may stand as the best version of Pagnol’s tribute to the waterfront community where he grew up, although the American remakes have their strong points. Whale’s film demonstrates what a capable studio could do with a talented cast and crew in the late 1930s, though Beery seems miscast. Logan’s 1961 treatment has its hammy moments (the close-ups are sometimes hard to take), but he makes the most of Rome’s lush score and Jack Cardiff’s location shooting, which emphasizes the natural beauty of a port city. And Caron is a most compelling presence, superior to Demazis and O’Sullivan in her grasp of the heroine’s ambiguities. What drives every version of Pagnol’s tale is a question that is posed early and eventually seeps into each scene. Did Fanny do the right thing by helping Marius chase his dream? Knowing how driven he is, was she being selfless or selfish — or a little bit of both? We make so many crucial, life-altering decisions when we’re young. Pagnol leaves us with the feeling that there is no “correct” answer to Fanny’s dilemma. Marius is so caught up in his romanticized vision of exploring “the isles beneath the winds,” yet in the end he finds only “volcanic ash.” How could she deny him that discovery? What a wonderful review! It captures the feeling of Joshua Logan’s lush (non) musical by hitting all the right notes. Perceptive indeed, and beautifully lyrical like the film.